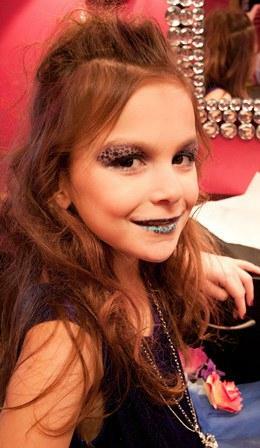 Monster High “Ghouls Rule” Party! This is definitely a one-of-a-kind birthday party! 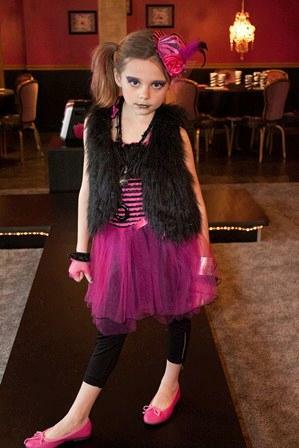 Monster High costumes are provided for the girls. Please have your guests bring their own dress shoes. Their hair is styled and accented with color. We prefer no braids, tangled or wet hair. If you child arrives with any of these, we will be limited to how we can style their hair. We use airbrush stencils with the makeup to create “ghoulish” looks. Leggings, gloves and more help finish the look of your favorite “ghoul”. We have a karaoke machine available for the girls to use, or you may bring your own CD, iPod, or iPhone to listen to your own tunes. 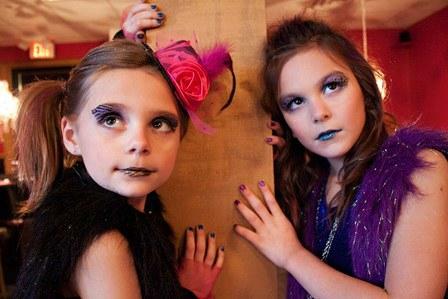 $225.00 for a party of 8 girls, $12.00 per additional girl with a max of 12 girls. Birthday girl is FREE! You may bring in small food items such as finger sandwiches & chips along with your cake and drinks. 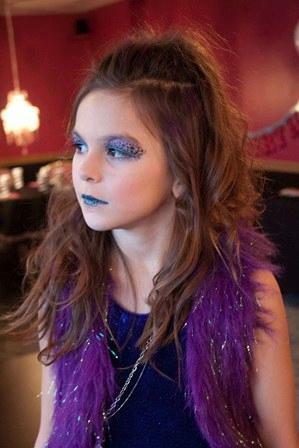 No pizza allowed for Monster High Parties.